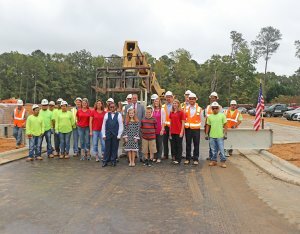 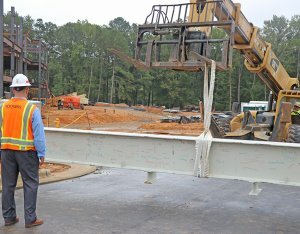 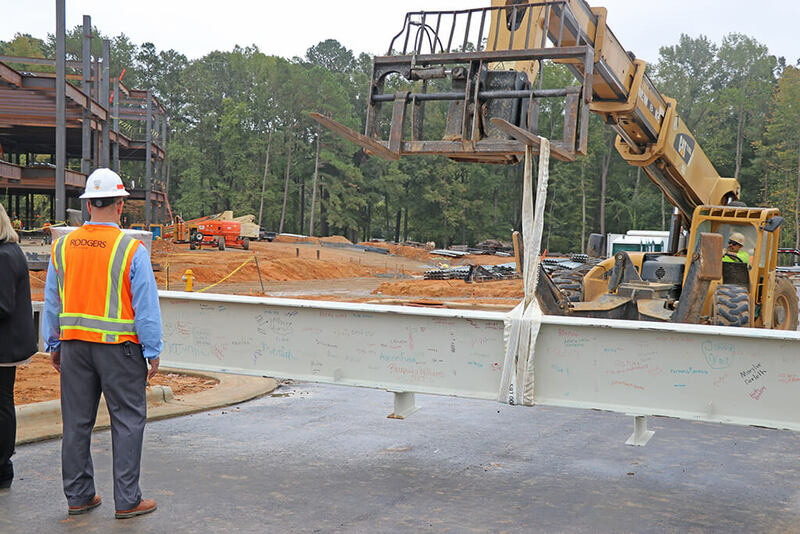 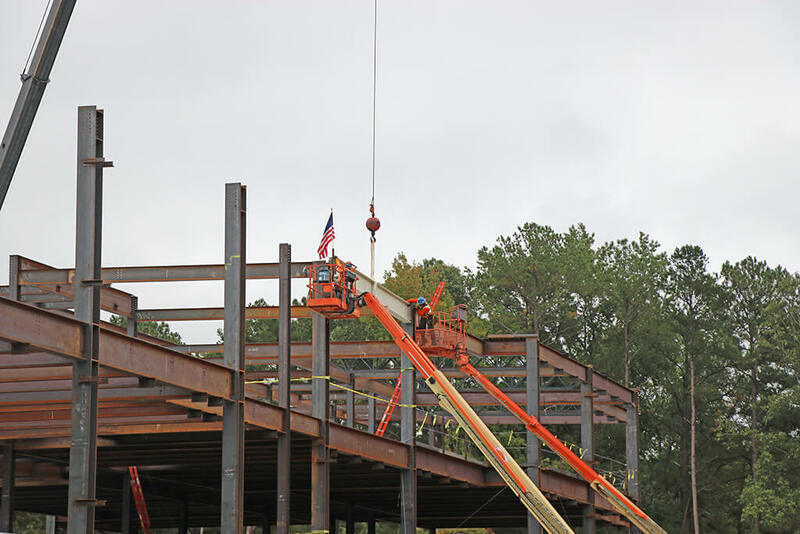 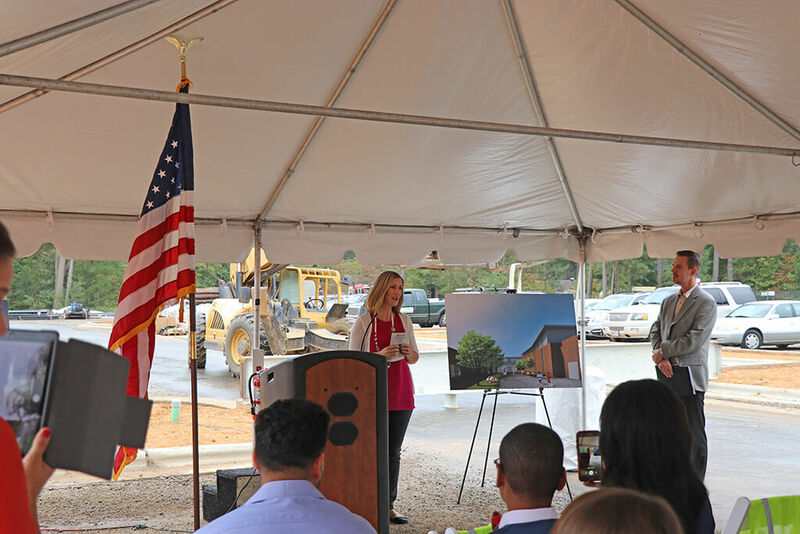 Vandora Springs Elementary School celebrates topping out - Rodgers Builders, Inc.
Rodgers joined Wake County Public School System to celebrate reaching a significant milestone on the new Vandora Springs Elementary School in Garner, NC. 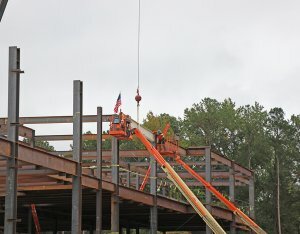 Guests watched as the last piece of steel structure was raised, bearing an American flag to symbolize safe attainment of the highest point. 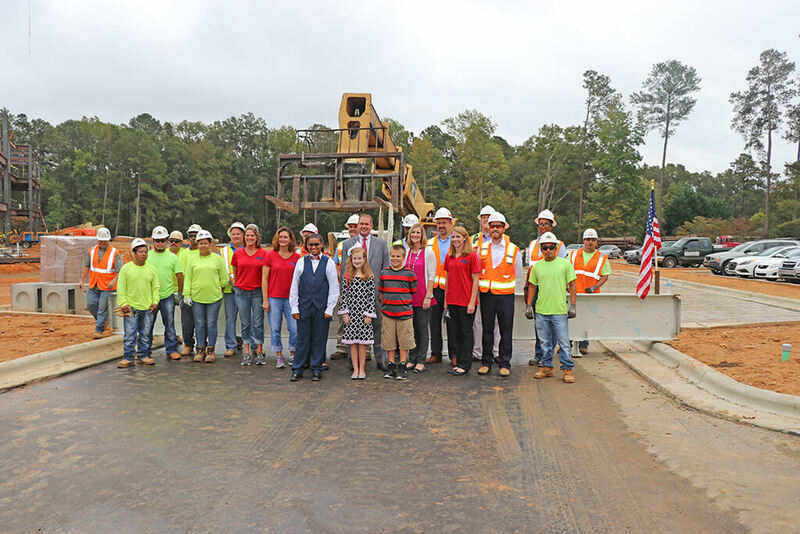 Guests included students, teachers, parents, school officials, as well as Rodgers’ project team and craftworkers. 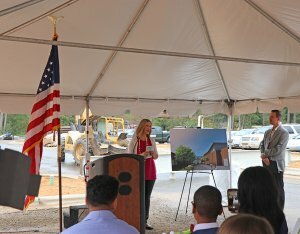 When complete, the three-story, 110, 058 SF elementary school will provide a 52-classroom building to serve a core population of 660 students.